IsoBoard thermal insulation fitted as a ceiling, following the roofline, allowing the opportunity to create additional space or a liveable loft conversion. 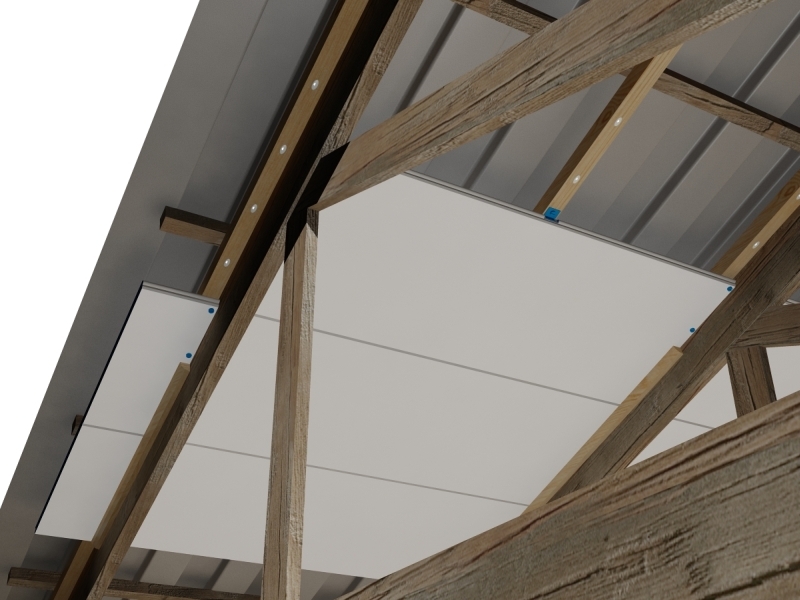 Following ten years of extensive testing, IsoBoard thermal insulation has developed a proven solution to fixing its thermal insulation boards above rafters, trusses or beams. Now cathedral style roofs with exposed timbers can be incorporated into a home or building design while being insulated, to provide a feeling of spaciousness in living areas – something that is particularly relevant as homes’ footprints get smaller. In addition, the beauty of the timber can be exposed, whether raw, treated or painted, with the thermal insulation providing a supporting and accentuating backdrop as well as proven and enduring thermal comfort. The IsoBoard can also be painted or stained to match each specific requirement. In essence, the boards are laid horizontally over the timber across the roof area, beginning and ending on a rafter or top chord. The boards are secured by a screw fixed counter-purlin, running from eave to roof ridge, above each rafter or top chord. The screws secure the counter purlin to each rafter or top-chord. Purlins or tile battens are fixed to the counter purlin as per standard industry practice. While this is a very simple solution, it has been demonstrated to maintain the integrity of the roof design without compromise. The difference between this solution and prior alternatives is that other than the introduction of the screw-fixed counter-purlin, no further adjustments are required to the standard roof structure. In prior solutions, industry standard roof designs were compromised with regards to the spacing of trusses and purlins, as well as additional bracing, in some instances. This method also provides flexibility, in that additional insulation products can be used in combination to achieve thermal and acoustic objectives. Radiant barrier products can be included to act as vapour and dust barriers, and the void created between the roof covering and IsoBoard can be used for additional insulation. As for the IsoBoard, lengths up to 8 000mm are available, as well as thicknesses up to 60mm, to meet most requirements. The IsoBoard can be 100mm centre-grooved to resemble a timber ceiling finish, or it can be installed as panels with a simple bevelled edge. 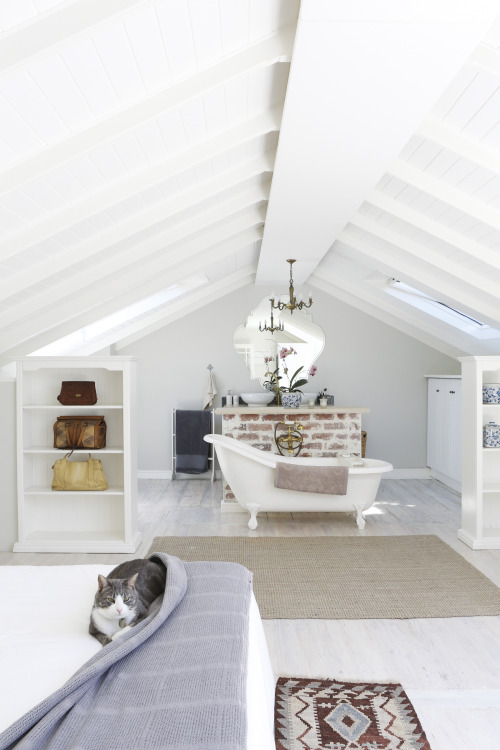 IsoBoard can also be retro-fitted to existing roofs as a ceiling following the roofline, allowing the opportunity for additional space or liveable loft conversions. “Our heartfelt thanks to all the professionals who contributed to proving this solution for South African conditions,” says Isoboard’s Mark Russell. “We are grateful that this very popular application for our thermal insulation product will carry the support of the industry. The test results are currently with the Board of Agre’ment SA for review, and consequent amendment of our current certificate,” he notes.